Notary embossers are a metal clamping device that produces a raised indentation of the Notary Publics commission information. 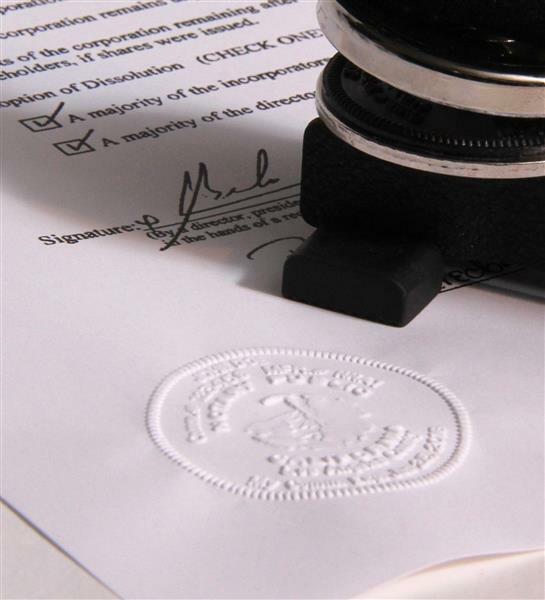 Some states require a raised embossed seal, but embossers are more commonly used in conjunction with an inked rubber Notary commission seal stamp. 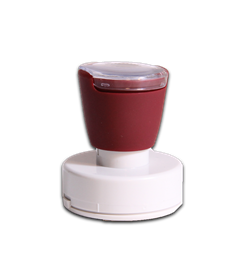 The Portable Desk Notary Seal Embosser is the NNA’s premier embosser, providing crisp and clear seal embossments every time. The revolutionary embossment mechanism reduces the amount of effort required, making every embossment easy. The handle is made of reinforced, high strength steel to ensure quality and long lasting durability. 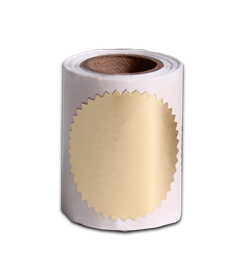 To make your Notary seal embosser photographically reproducible, the NNA offers an Embossment Inker. 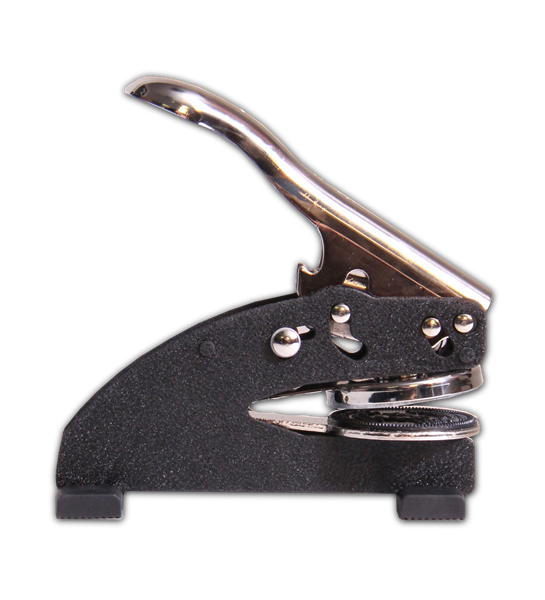 Read our instructions on how to use your Notary Seal embosser. Embossers purchased from the National Notary Association are guaranteed for the lifetime of your state's commission term.